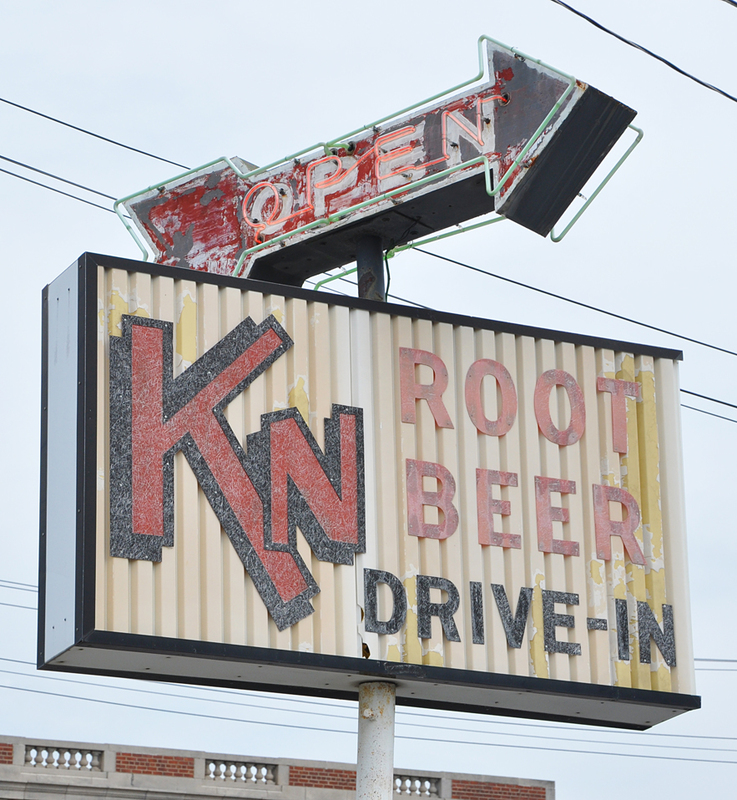 The KN Root Beer drive-in chain originated in 1948 in Longview, TX. 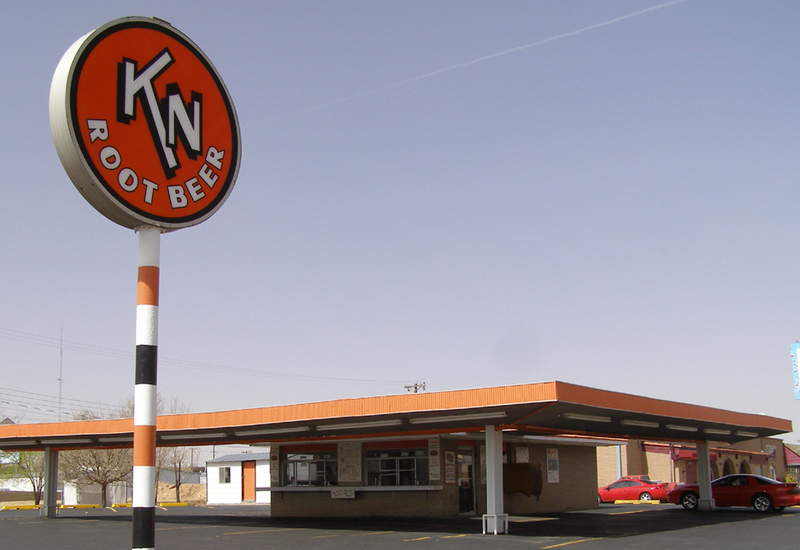 The name was based on the first two letters of the last name of the owner, Leslie Knutson. 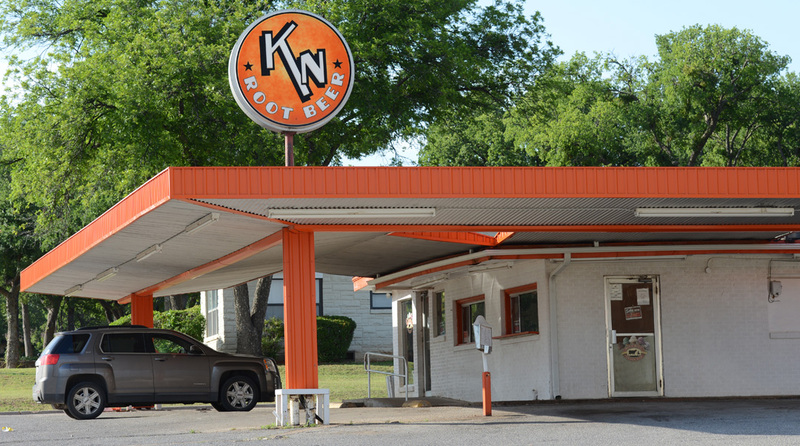 By 1975, there were 30 locations in Texas, Louisiana, Colorado, Oklahoma, Arkansas, and Tennessee. If you know of any others, I'd love to know about them.